HOUSING MINISTER Eoghan Murphy has warned those with a vacant second home that penalties are on the way if they don’t bring it back into use. The housing department has announced a number of measures that are already underway to bring vacant homes into use, after government came under strong criticism last week over rising homeless numbers. Speaking on RTÉ’s Morning Ireland, Murphy said his department are attempting to drill down into the number of vacant houses around the country. Census 2016 identified 80,000 vacant homes across the country, however, the minister said many of these may have been empty due to a house being in the process of being sold or let, adding the figure could be closer to 25,000. Murphy said he is currently in talks with the Attorney General, the Minister of Finance, Paschal Donohoe, and the Revenue Commissioners to establish how quickly the new measures can be introduced to encourage homeowners to get their second property back on the market. The minister said he hopes to introduce incentives for property owners with a second home lying idle, “but also a penalty scheme… so we can get those properties back into use,” he said. Murphy also wants his department to be given increased Compulsory Purchase Order (CPO) powers. He said he was putting homeowners with a second vacant house “on notice that changes are coming… penalties are coming”. The exact detail of the levy or penalty has yet to be worked out with the minister for finance, however, Murphy said he wanted it to be introduced sooner rather than later. The minister said a number of measures are already in place to tackle the number of vacant homes in the country. Among these are the introduction of an Empty House Unit in the department in order to coordinate efforts to acquire vacant homes. A vacant homes website has also been developed, which allows people to anonymously log possible vacant properties across the country. There has also been an official call for local authorities to designate vacant homes officers in each of their areas to examine data from Census 2016. The minister laid out other plans which involve trying to ensure the quick turnaround of vacant social housing stock between lettings. The department also said it would work with the Department of Health to explore how the homes of people in nursing homes could be used for new tenancies. Murphy said he hopes to encourage homeowners in nursing homes to lease out their vacant houses, adding that he will be introducing incentives. Commenting on the measures, Murphy said that vacant housing stock was important in the fulfilling of the government’s policy objectives. “We’re building new houses and we’re going to build more, but with the pent-up demand in the system from years of little or no construction activity, we have to manage empty homes back into use,” he said. “My department stands ready to offer assistance, advice and funding, where appropriate, to start this important work, which will ultimately feed into the Vacant Home Strategy later this Autumn. As I’ve said before, there’s going to be a carrot and stick approach to this, which will be finalised in the coming month or so. People with property interests need to be made aware that we are moving quickly on this. Charity officials and opposition politicians strongly criticised Fine Gael last week, after Census 2016 data showed that homelessness among adults and children has risen significantly over the past six years. The minister admitted the homeless problem had reached crisis-level. “The figures are going in the wrong direction, we have to be very honest about that,” he said. Rebuilding Ireland – the government’s housing strategy that was launched last year – has also been criticised, with homelessness figures rising every month since its publication. However, Murphy said the homeless crisis would be a lot worse had the government not rolled out the housing strategy last year. 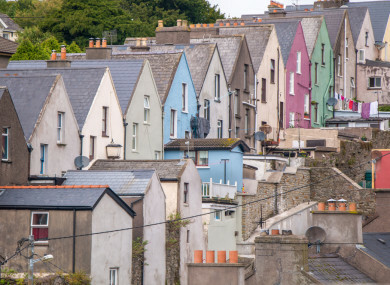 A review of Rebuilding Ireland is currently underway, with the minister saying previously that the vacant homes strategy would not be announced until September. Email “'Penalties are coming': Minister puts householders with vacant second home on notice”. Feedback on “'Penalties are coming': Minister puts householders with vacant second home on notice”.